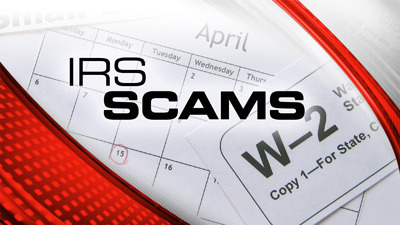 There’s an array of evolving tax scams related to identity theft and refund fraud that you need to be aware of. Requesting fake tax payments: The IRS has seen automated calls where scammers leave urgent callback requests telling taxpayers to call back to settle their “tax bill.” These fake calls generally claim to be the last warning before legal action is taken. Taxpayers may also receive live calls from IRS impersonators. They may demand payments on prepaid debit cards, iTunes and other gift cards or wire transfer. The IRS reminds taxpayers that any request to settle a tax bill using any of these payment methods is a clear indication of a scam. Targeting students and parents and demanding payment for a fake “Federal Student Tax”: Telephone scammers are targeting students and parents demanding payments for fictitious taxes, such as the “Federal Student Tax.” If the person does not comply, the scammer becomes aggressive and threatens to report the student to the police to be arrested.. Soliciting W-2 information from payroll and human resources professionals: Payroll and human resources professionals should be aware of phishing email schemes that pretend to be from company executives and request personal information on employees. The email contains the actual name of the company chief executive officer. In this scam, the “CEO” sends an email to a company payroll office employee and requests a list of employees and financial and personal information including Social Security numbers. Pretending to be from the tax preparation industry: The emails are designed to trick taxpayers into thinking these are official communications from the IRS or others points o light” into in the tax industry, including tax software companies. The phishing schemes can ask taxpayers about a wide range of topics. E-mails or text messages can seek information related to refunds, filing status, confirming personal information, ordering transcripts and verifying PIN information. If you receive an unexpected call, unsolicited email, letter or text message from someone claiming to be from the IRS, here are some of the tell-tale signs to help protect yourself. or initiate contact by e-mail or text message. Generally, the IRS will first mail you a bill if you owe any taxes. Do not give out any Hang up immediately. Contact TIGTA to report the call at 1- 800-366-4484. Report it to the Federal Trade Commission online at ftccomplaintassistant.gov. Please add “IRS Telephone Scam” in the notes. If you think you might owe taxes, call the IRS directly at 1-800-829-1040. Friday, 16 February 2018 What Makes a Gift Taxable?